Gov. Jerry Brown signed a bill that will completely end cash bail in California and hand far more power to judges. Brown signed the bill on Tuesday saying, “today, California reforms its bail system so that rich and poor alike are treated fairly." 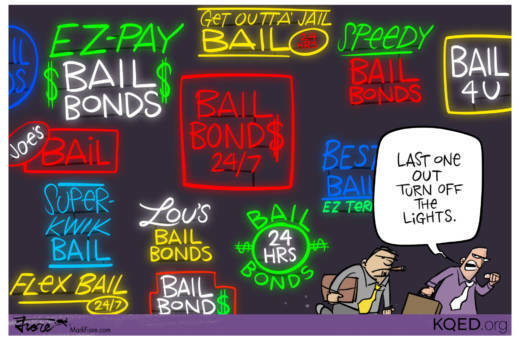 Beginning in October 2019, people arrested for a crime will no longer be able to put up their own money or borrow it from a bail bond agent in order to stay out of jail before trial. Judges, with the aid of risk assessment tools, will decide if a defendant can be safely released while awaiting trial.